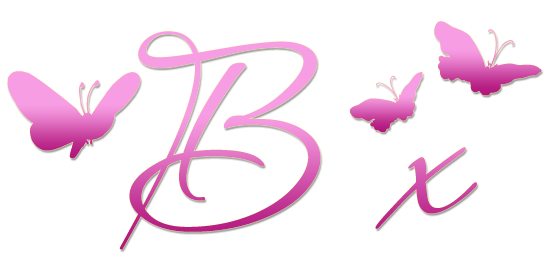 Our congratulations to you all, please grab the appropriate logo from our sidebar to wear on your own blogs. I will be back on Sunday with our new challenge and a rather fabby prize as well. 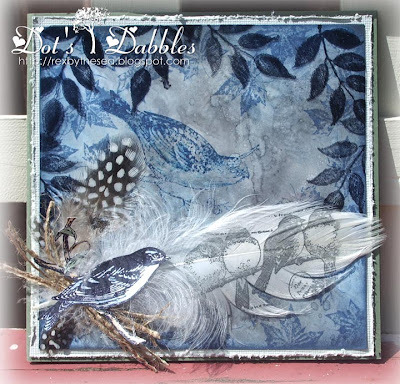 This month it is my pleasure to introduce our DT Lynne who has made two more stunning creations following this months challenge theme of Fur and Feathers. 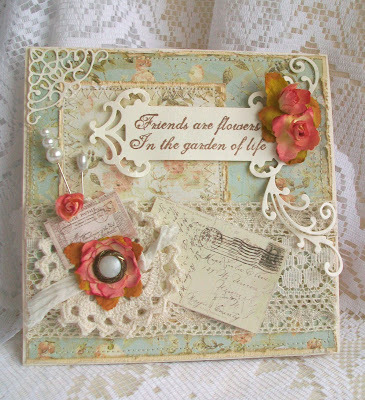 Lynne is also giving us a little insight into her crafting passions and what get her into it in the first place. Q.1. 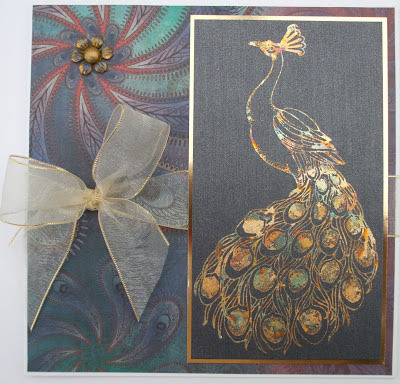 When did your love of stamping begin? Over 20 years ago. Around 1992 I went to a craft sale where a woman was demonstrating stamping and heat embossing. It was just at the time when art stamping was being introduced over here from the USA. 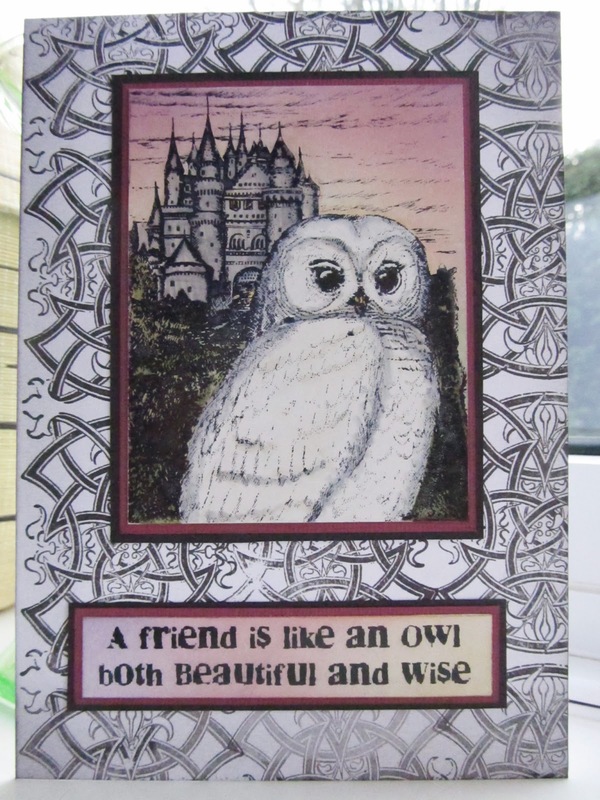 The demonstrator was simply stamping and embossing a picture on to a plain white card and colouring it with felt pens. I'd never seen anything like it before, and thought the embossing was magic! I bought my first stamp (which I still have and use) on the spot and was hooked from that moment! What a long way we have come, in terms of materials and techniques, since then. Q.2.What do you enjoy most about it? That even with a single stamp I need never produce the same design twice. I am limited only by my imagination. I'd soon get bored with my stamps otherwise. Oh, and the fact that I can produce an acceptable image without the ability to draw! Q.3.What is your favourite make of stamp ? Q.4. What is your most used stamp/product and why? Not counting tools, my most used product is probably my Versafine Onyx Black inkpad, closely followed by Distress Inks, both types because of their versatility. 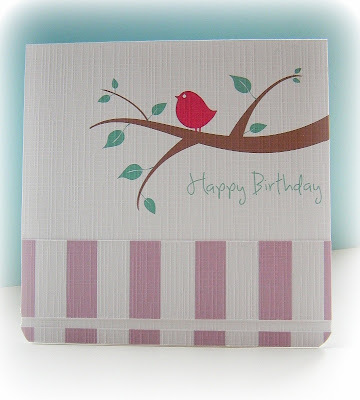 My most used stamp is the personalised "hand made by" one which I stamp on the back of all my cards. 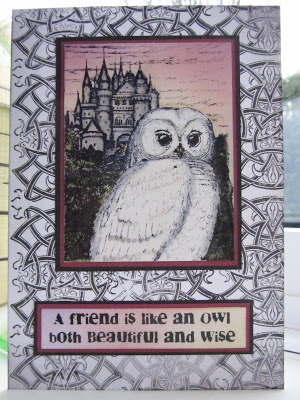 Apart from that, a classic "Happy Birthday" by (I think) Embossing Arts, which is one of the first stamps I ever bought and which I often still use on the inside of a card. Q.5. What colours do you most enjoy working with ? I prefer cool colours: blues, purples, or greens, but I also like autumn shades. Q.6. What inspires your designs? Anything nature-related. I have always loved the natural world, and now that I am lucky enough to live in beautiful countryside I am not short of inspiration. However, my mojo does go off on holiday now and then, and on those occasions a trip round Blogland will usually bring it back. The wealth of talent out there constantly amazes me. Thanks so much for sharing that with us Lynne, I don't know about all of you, but I rather like being a fly on the wall of other peoples crafty space. It can be one of the other or even both together and I am thinking this gives you no end of scope from cute and cuddly teddy bears, sweet little critter to birds in flight, the options are endless. We are so pleased to welcome Stix2 as our sponsor again this month who are offering our lucky winner another wonderful selection of crafting essentials, they are things that we all need in our everyday crafting and this little collection is going to keep you going for ages. Do spend a few minutes checking out their website here, I can tell you from personal experience their speed of delivery is fabulous. I really hope you will join us this month and myself and the DT look forward to looking at all your entries. 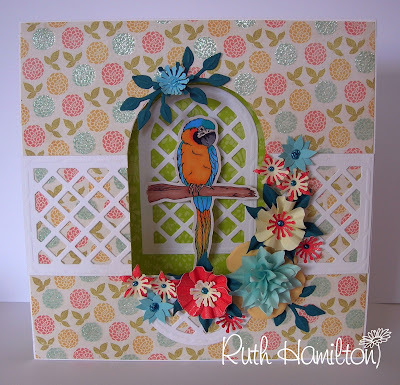 Here at last and rather belatedly with the winner and Top 3 from our January challenge, I'm really running on slow at this end so won't keep you waiting any longer other than to say thank you all for your wonderful Friendship creations. 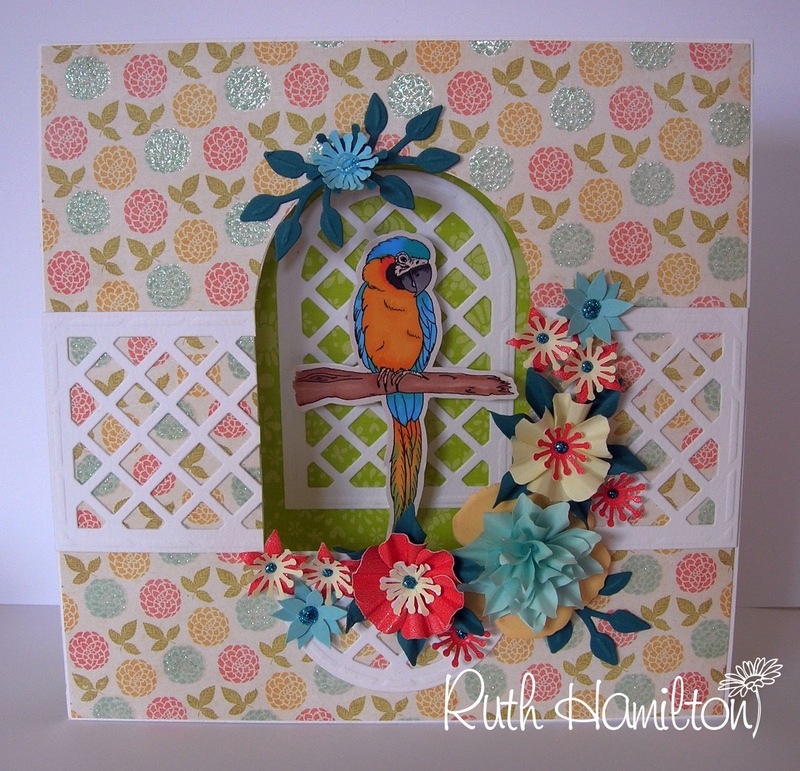 Congratulations Ruby, a lovely elegant card, please mail me with your full postal addy so I can get your prize in the post and don't forget to grab our winner logo. Well don all of you, please grab our Top 3 sidebar buttons. 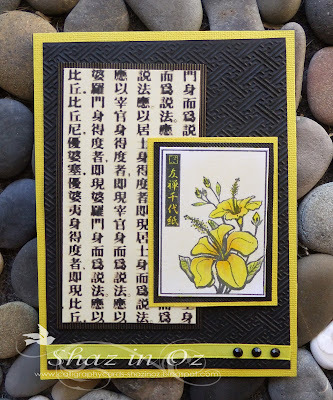 Stamping Sensations is a monthly challenge and a new one will be posted on the first Sunday of every month. All winners and Top 3 will be selected by a democratic voting system. As our DT have a wide variety of crafting styles we believe this system will offer an equal opportunity to all levels of crafting abilities. Following EU guidelines, minors entering the challenge will not be selected for winners or top 3 spots in order to protect their identities.